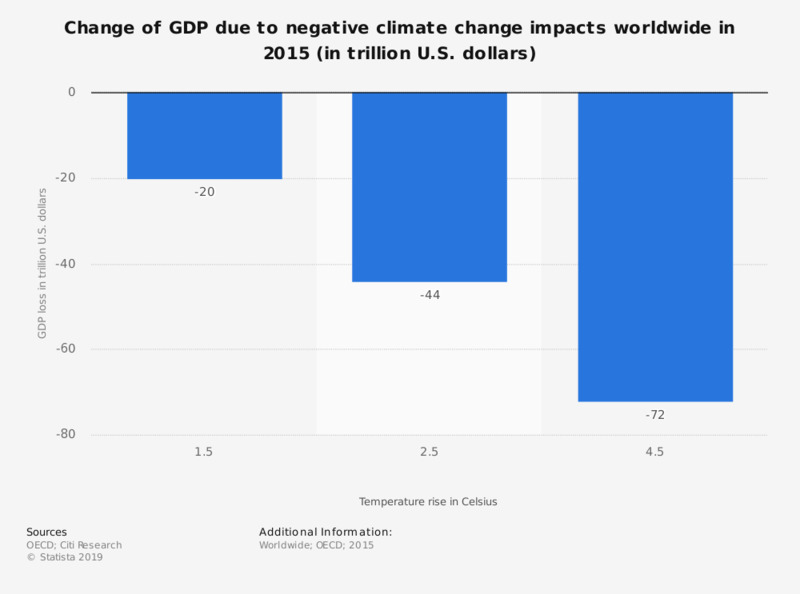 This statistic displays the damage to global GDP from the negative effects of climate change based on temperature rise as of 2015. During this time, a 2.5 degree Celsius increase in temperature has the potential to cause a 44 trillion U.S. dollar change in GDP. To have a 50 percent chance of reaching the 2 degree Celsius temperature warming goal, globally there is 1,050 gigatons left to burn. Global carbon budget of 3,010 gigatons to have a 50 percent chance of reaching a increase 2 degree Celsius. United States: How do you feel about global climate change? In your opinion, is the earth warming?